This is largest scale map available for Liwa and the surrounding area. Using our in-house team of cartographers, this detailed satellite image contains all the information you need to navigate your way into the UAE's Empty Quarter, enjoy the stunning desert scenery and find your way back out. 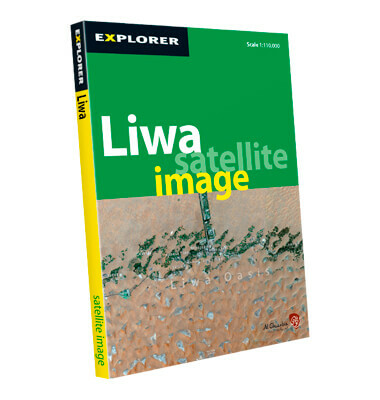 The Liwa Satellite Image map is the country's leading map of this remote area.